Blade Bind is OUT NOW! PowerFrame is a universal action-oriented toolbox RPG. It provides a powerful, flexible framework of rules and a set of tools for building your own game worlds – powered by hexagons, six-sided dice, and your imagination! 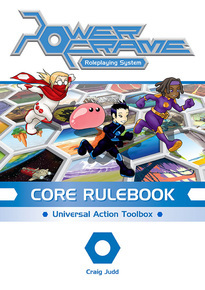 The PowerFrame RPG page features downloadable resources, errata, related products, and more! Blade Bind is a hyper-focussed, GMless, card-based storygame of swordfighting and tragedy. Wielding an ancient supernatural Blade, none can stand in the Chosen's path... save for another of the Chosen! 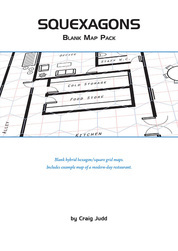 I also have a couple of blank hex-map products on DriveThruRPG. Click on the images to check them out! I provide a variety of freelance services, including graphics, editing and layout, with a focus on small-press RPG production. If you have a project in the works or are about to run a Kickstarter, I would love to help bring your vision to life!